My recovery continues here into the 9th and 10th weeks since My HyProCure Surgery. I’ve had a few more rides on my sweet horse and I have been faithful to work hard for both of my physical therapists, Mark Bengtson, MPT and Joanna Alford, MPT. I’ve had followup appointments with my primary and sports doctors and they are both pleased thus far with my results. 1/14/2014 – I went to Dr. Shirzad, my foot/ankle specialist at NWOS in Spokane. He performed my prior arthroscopic ankle surgery in Aug. 2011 and he has followed my progress ever since then. His surgery is mentioned at beginning of my Subtalar Joint Instability Blogs. He was so pleased to see that I was doing so much better now since he last saw me in Sept. 2013 while I was in a cast healing my Talus fracture and before my HyProCure Surgery. I could now show him how my range of motion had increased as my Talus bone was no longer laterally impinged and stuck out of neutral. Because of so much on-going joint instability and its associated pain, I could never fully enjoy the successful surgery he had previously performed. But now I was able to return and show him my excellent results from the HyProCure Surgery and how happy I was to have found an answer for for my subtalar joint instability. I asked him to please consider looking into doing this surgery in order to help other patients in the Spokane, WA area as not every one will research and travel like I do for help. On 1/16/14 I had a follow up phone consult with Dr. Gent, my HyProCure master surgeon with www.kitsapfootandankle.com. He was pleased with my good news that I had shared in my prior update blog. However, I shared with him my struggles with not having my right foot done yet and the effect it was having on my low back. I had already previously brought this to his attention when I saw him at my followup on 12/17/13. I told him with the increase of walking and exercise since then, the torque in my soft tissues-specifically the posterior sacroiliac ligament- has increased over my right SI joint and lumbar spine due to the pseudo anterior drop of right pelvis. I have high proprioception of the difference in my two feet and how it affects the rest of my body. Dr. Gent concurred that I should not over do it and limit my extra walking till he could get my next foot done as soon as possible with his surgical schedule. The date is February 7th, 2014 which will be exactly 12 weeks after he did my left foot. It is normal for Dr. Gent to do both feet in all his HyProCure Surgical Patients. I am so looking forward to having two equal feet here soon! My patient to patient advice: Be prepared to have 6 months of your life set aside for having the HyProCure surgeries done on both of your feet. It is important that the first foot is well healed in order to take full weight bearing on it only while the other foot is having the surgery. You may not experience anything in your low back like I am between these surgeries; however, rest assured, things will be definitely different after the one foot is done. I have no doubt that you will want to be back for the second surgery as soon as your surgeon recommends. So after speaking with Dr. Gent about my right foot, I felt encouraged to work hard in the meantime with my isolated exercise for my left leg/ankle as this does not bother me. Neither does it bother me to be in the saddle riding my horse. It is only the extra walking besides daily life walking that exacerbates what I feel in my low back due to the dropping of my right foot with each stride. I need my left ankle/foot as strong as possible to be on crutches here soon. 1-21-2014 – I had previously scheduled a follow up appointment with Dr. Patrick Soto, my pain mgmt. doctor at NW Medical Rehab, to go over how I was doing since he last saw me in Sept. 2013. At this appointment, he examined my back and gave me an Osteopathic Manipulation to help ease the discomfort of my low back. He could see how well I was now doing with my lower left leg compared to the years prior. He also reassured me that my right SI joint was fine and stable as it should be from the fixation a year ago and that the pain I was feeling was simply in the soft tissues only and not in the bone/joint. He concurred that I should not do any extra pelvic/hip exercise for the time being that would negatively affect my low back, but keep the exercise isolated to my lower left leg/ankle/foot till after my next foot surgery. I rejoiced in telling him that my intermittent burning nerve pain in my pelvis,thighs had taken a turn for the better after my HyProCure Surgery and I certainly did not need any piriformis injections at this time like we had discussed in the Sept. 2013 appointment. I don’t know the why, except that this foot surgery does give stability up the entire leg into the pelvis. I can only assume and my experience dictates that more stability means less tension on muscles and then less irritation over nerves. 1-23-2014 -Here is a picture of me doing one leg pushes off of my toes to strengthen my calf muscles. I am 10 weeks since my HyProCure Surgery and I have been concentrating on getting as much strength as possible in my lower left leg and ankle. (Click on the photo to enlarge.) My picture shows only a tiny HyProCure surgical scar below my distal fibula bone of my ankle along with my 3 inch scar from my prior Proximal Tibiofibular Joint Stabilization surgery on 5/14/13. Joanna Alford, MPT with Peak Performance Physical Therapy of Lewiston has me concentrating on pushing evenly through the ball of my foot and especially paying attention to not rolling the ankle out towards the 3-5th metatarsals when my leg is fully extended. It is important for me to focus my energy through the base of first/second metatarsals to prevent my prior chronic supination patterns from taking over. This picture on the left depicts what my foot pattern had been for many years but with a little more exaggeration. 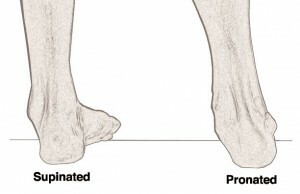 Prior to the major onset of Sacroiliac Dysfunction and its associated pathology, my left foot originally had excessive pronation like my right foot; however, due to the prior foot drop and lateral ankle sprain and compensatory gait patterns of my Malalignment Syndrome I had developed a supinated left foot pattern. My HyProCure Surgery corrected my chronic supination and brought my left foot into normal neutral position. If my foot had been a rigid supinated foot without the ability to excessively pronate/partially dislocate, then I would not have been a candidate for the surgery. Please see my prior x-ray comparison video of my left foot pre and post chiropractic adjustment in this blog link. 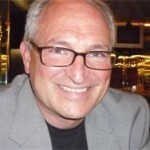 Please see www.HyProCure.com for all the in depth information pertaining to surgical guidelines. Now all my connecting soft tissues to my left foot and ankle are being rehabilitated. In my mind it is a slow process; however, how can a person fix in 10 weeks at least 10 years or more of dysfunction of my left lower leg? I am so grateful for what I have accomplished thus far. Right now at different times throughout the day or night, I’ll have intermittent muscle spasm which predominately affects the Superficial Peroneal Nerve with sensory feelings of some numbness/rubbery feeling of skin down lateral ankle and on top of foot over the 4-5th metatarsals. The HyProCure Surgery fixes the boney alignment of the Talus over the calcaneus and eliminates the excessive movement/partial dislocation of these bones. For the beginning of my ankle/subtalar joint instability blogs see this link. With my bones now in neutral and staying there (no more chiropractic adjustment needed), my level of spasms has greatly diminished. For 10 years, I use to have violent spasms at night that plantar flexed my foot and tightened my calf. I would throw myself out of bed just to push my heel into the floor while in pain. Over the last year and a half prior to this surgery, I was always splinting my foot to comfortably sleep. Now I can sleep with no splint and only very minor nerve feelings. And some of the nerve feelings can also be contributed to my prior Proximal Tibiofibular Surgery that affected the Common Peroneal Nerve. As discussed in my Peripheral Nerve Surgery blogs, I am thankful for those surgeries being previously done or I’d be in more extreme nerve pain at this time. So for most HyProCure Surgery patients, it is my understanding that you would not be affected like I am with the Peroneal Nerve issues; however, the Sural nerve where the incision is made is temporarily affected with sensory symptoms after the surgery and I have recovered well pertaining to that nerve. Below are 3 YouTube videos showing me exercising my left leg/ankle. I like doing the strengthening in this manner because I certainly still have a very difficult time doing heel raises with my full body weight. By the last video, I had already done at least 7 minutes of continuous work and I was getting fatigued. Prior to even getting on the Pilates Allegro, we had already done ankle ROM with bands, calf/soleus stretches, toe curls with towel, and some standing heel raises. In the videos, you will notice that my right foot is taped with BSN Tensoplast 3″ tape. This tape is pricey but it is my favorite of all the sports tapes I’ve tried. 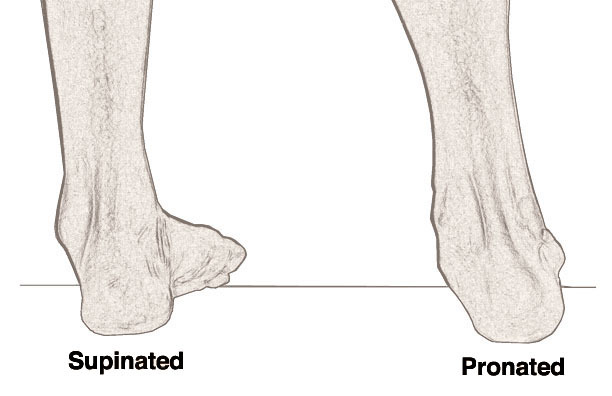 Due to the navicular bone going inferior/dropping at least 1.1cm as measured by my P/T with its excessive pronation and tension on my posterior tibialis tendon, I have pain up my right leg and especially at the proximal end of the posterior tibialis muscle. I am really more happy now only working my left leg than what I thought was my prior strong right leg. The HyProCure Stent really does alter the bio-mechanics in the subtalar joint and ultimately affects the entire leg for the better. Amazing and how wonderful it is to have neutral foot alignment and stability for the first time in life. I’ll have 3 more physical therapy appointments before leaving to see Dr. Gent and doing the HyProCure Surgery on my right foot. It is my intent to enjoy life as much as possible between now and then before going through the entire surgical and rehabilitation process all over again. Stay tuned! Or just subscribe to this blog to receive automatic updates whenever I post a blog story about my medical and spiritual journey. Link to my next blog.